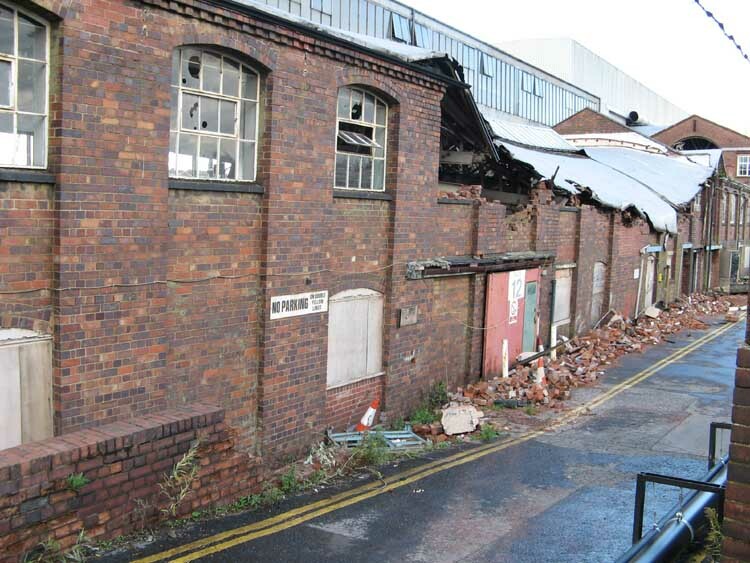 Part of the original Halesowen Railway remained in use as a siding serving the car factory at Longbridge until this closed in April 2005. 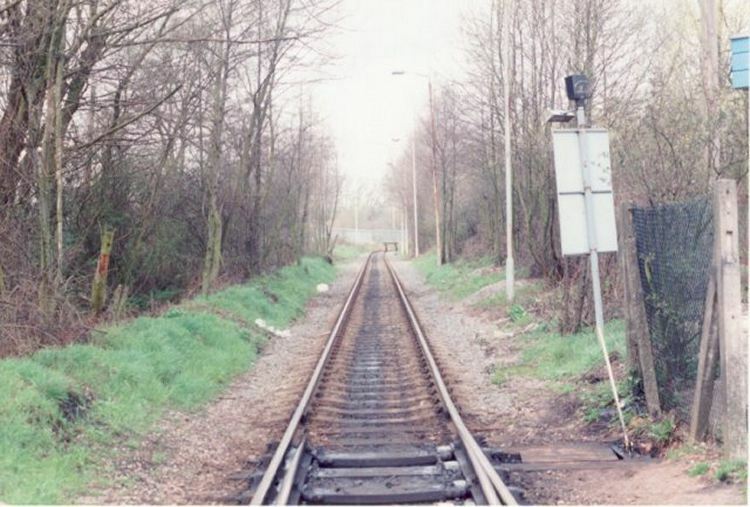 The buffer stops in the far distance represented the end of the line as far as The Halesowen Railway was concerned. This headshunt provided access to part of the car factory. Centro had made plans to re-open the line as far as Frankley but these were abandoned. Photograph taken by Andrew Smith on 20th April 1996. 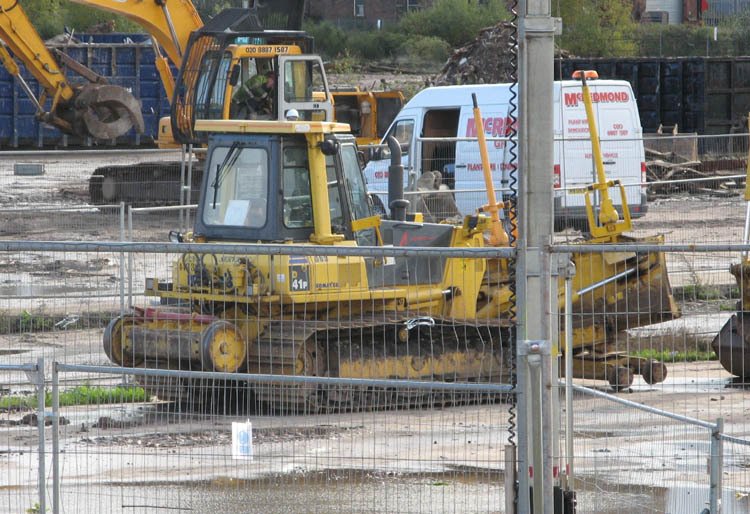 Following the decision to demolish the old West Works track recovery took place west of the workmen's station at Longbridge on the stub of the former Halesowen Railway. The line which formerly served the exchange sidings and new West Works was cut back to just beyond the old station. 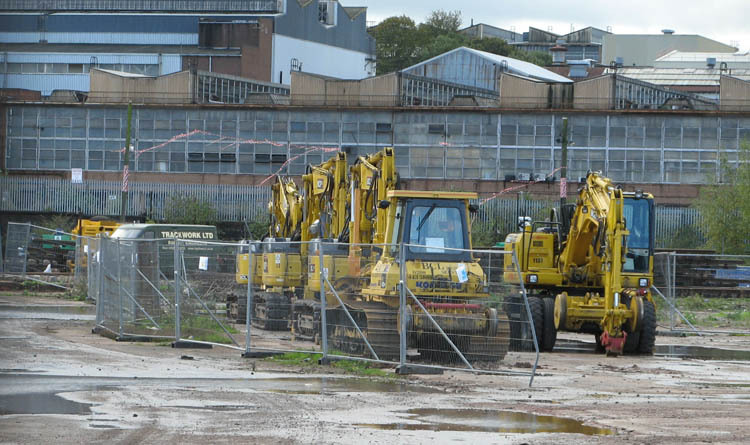 The contractors were Carillon, Trackwork Ltd and BCL Rail. The diesel locomotives formerly owned by the MG Rover Group appear not to have been utilised but are believed still to be in the loco shed. Amongst a large group of on-track plant stabled near to the Signal Box were: BCL PW150's Nos.1135 and 1137; dozer BCL No.369 and BCP No.48 type PC128US. 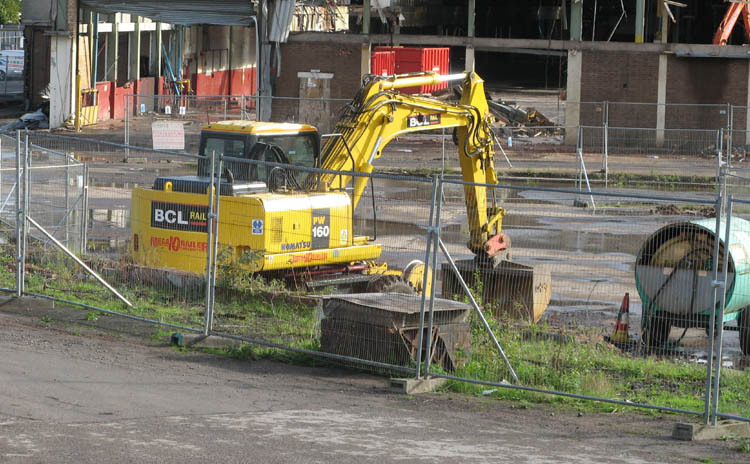 The contract was nearly complete when these photographs were taken by Andrew Smith on 26th October 2006 and BCL low loaders were present to remove the plant.